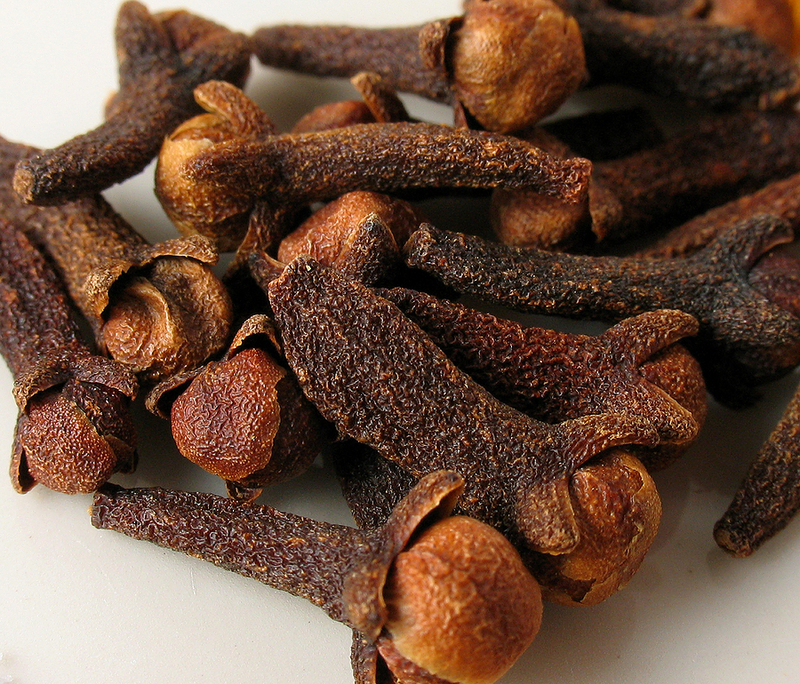 Cloves are the aromatic dried flower bud of a tree native to India and Indonesia. The ancient science of Ayurveda commonly uses clove powder and oil for treatment of common health problems. Cloves’ medicinal properties are seen to have antiseptic and germicide potential, improved circulation, and pain relief. During this winter season, using cloves in your daily cooking will not only enhance festive flavors, but also warm you up from the inside out. Its Ayurvedic qualities are Hot and Pungent – which is a great way to ignite your digestive fire (Agni). This spice is highly recommended for balancing out aggravated Kapha and Vata doshas, but it’s even gentle enough for the PItta dosha (when used in moderation). Mix ¼ tsp clove powder with ½ tsp honey and slowly suckle on it for 5-10 min while relaxing in a sitting or reclining position. Alternatively, try making a tea decoction by simmering 1.5 cups water 4-3 cloves with 2 tbsp grated ginger, 5-6 cardamom pods (cracked open), and ½ small lime (juiced). Boil 6-8 cloves and 3-4 star anise in half a cup of water; simmer until reduced to half. Mix this decoction with ½ tsp honey and take 3 times daily to help relief symptoms. Make a strong decoction of tea of your choice with 10 cloves and 5 black pepper corns, simmer for 15 min and drink to help sweat out the fever. Clove oil can be topically applied to the gums around the aching tooth as natural pain relief – you should feel a numbing sensation. Try mixing fine Himalayan salt crystals, clove powder and some warm water to make a thick paste. Apply it on your forehead and temples while relaxing in a lying down position.